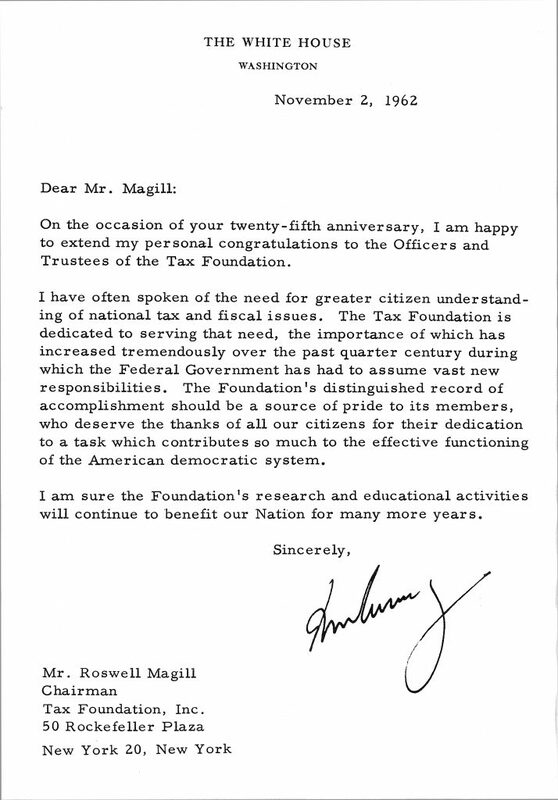 Today marks the Tax Foundation’s 80th anniversary. What started in 1937 as a small group with a mission to help individuals and businesses better understand government taxes and spending has grown into a dedicated team of policy analysts seeking to educate policymakers and the public about sound tax policy at the federal, state, and local level. Our office wall is adorned with three words that guide how we do our work: “Principled,” “Insightful,” and “Engaged.” With these principles in mind, we advise lawmakers across the country and on Capitol Hill how to raise revenue in a way that is fair, efficient, and transparent. As the federal government inches closer to reforming the federal tax code for the first time since 1986, our team of experts worked diligently around-the-clock to analyze numerous tax proposals with differing economic and fiscal impacts. We’re proud of our work and the ability of our small but dedicated staff to contribute to the public’s understanding of good, sound tax policy. On our 25th anniversary, then-President John F. Kennedy sent us a signed letter thanking us for educating the public on important tax and fiscal issues. With Congress and the states so active on tax reform now, we feel that our work is more important than ever. So as we enter our ninth decade of service, we thank our supporters for making our work possible and we look forward to many memorable highlights on the way to our next anniversary!